Technology will keep on transforming the way humans live – we all get that. Ecommerce changed the way we shopped, SEO changed the way we searched and consumed information, and now, voice is changing the way we engage with our devices. Ironically, it seems to be an iconic movement, where tech has enabled humans to essentially conduct business exchanges just like they did in the old times – by asking for product information, literally. Telling your Amazon Echo to refill groceries, asking Google Assistant to book an Uber, and using your voice to search for products on the web – you get the idea. So, how can you perfect your ecommerce SEO for voice search? This guide covers all. How Will Voice Search Affect E-commerce? As per the Salesforce Connected Shopper Report, around 40% of millennials turn to voice assistants like Siri and Alexa before making an online purchase. There is no doubt that this trend will increase with time. It is critical for the marketers to identify the voice channels that customers interact with before they make any online purchase. Hence, voice assistants and AI powered communications should be on a priority for every retailer. There’s a stark difference in the words they use to do these searches. It’s natural human behavior – we talk more than we write, and when the content is same (in case of a search), we use more words to speak than we use to type. For any ecommerce SEO expert, the key here is to master the art of long tail keywords. This graph clearly shows the shift that voice SEO has brought to the world of web search, a clear movement towards longer searches. Hence, the first step lies in identifying the long tail keywords and optimizing them to get better results. Let’s learn more about how we can do that. Keywords that are three or more words longer are termed as long tail keywords. You can find precious long tail keywords with the help of Ubersuggest. Enter the main keywords of your choice. As for example, I entered the keyword “birthday gifts for mom”. Specify ‘shopping’ in the second drop down. Specify a language, and click on Look Up. In the next screen, sort the keywords by search volume, and select the long tail keywords of your choice. You can find lots of relevant long tail keywords extremely easily with the help of Ubersuggest. You need to pay special attention to the below list of trigger words based on a research conducted by SeoClarity that are generally used in voice searches. Moreover, you can take the help of other tools like Answer The Public and Keywordtool.io to increase your list of selected keywords. Secure Your Site with HTTPS: Websites having robust security certificates are preferred by Google. Adopt HTTPS in order to protect your users’ connections to your website. Moreover, your HTTPS sites must support HSTS (HTTP Strict Transport Security) that directs the browser to automatically request HTTPS pages, even if the browser has http in the location bar. Increase Domain Authority: Sites having good domain authority always have greater chances of ranking higher in the search results. Try to get as many high quality links as possible in order to constantly increase your domain authority. Optimize For Question Phrases: Identify question phrases that people are more likely to ask when they are interested in buying something. For example, if you are selling “running shoes” online then try optimizing your site for question phrases like “where can I buy the best running shoes?”, “which is the best brand of running shoes”,” what are the best running shoes for beginners”, “best long distance running shoes”, “are sketcher shoes good for running?”, “best running shoes 2018” etc. Integrate Local SEO Strategies: Almost every ecommerce store operates a brick and mortar store and this is where it becomes necessary to optimize your local SEO and get it right. Integrate your physical store checkout process with your ecommerce store; for instance, using an omni-channel sales solution such as Shopify POS. Fix Mobile SEO Issues: Go to Crawl Errors > Smartphone tab, and check mobile crawl issues. Use the Fetch as Google option to fetch and render your ecommerce website in desktop and mobile views, and identify any visually obvious issues in the results. Check out the Mobile Usability reports for any glaring mobile SEO issues. Improve User Experience: Voice SEO is all about improving user experience. Use Google Mobile Site Testing Tool to get better insights into issues that could be spoiling user experience. Remove interstitial pages that intervene between the user and the page they intend to view. Initiate the move to make your ecommerce pages AMP compliant. Have a responsive site, optimize for micro moments, adopt an omni-channel marketing strategy, create content that answers the user’s questions and optimize your site for important metrics like bounce rate, conversion rate, time on site etc. 10 years back, the world was excited about the possibilities of ecommerce. 5 years back, the buzz was around how ecommerce on mobile would change the world of business. Today, it’s all about how voice will become the mechanism for product search, comparison, insight, and purchase. Don’t be left out; anticipate the change, be proactive, and make your ecommerce website voice-compliant. 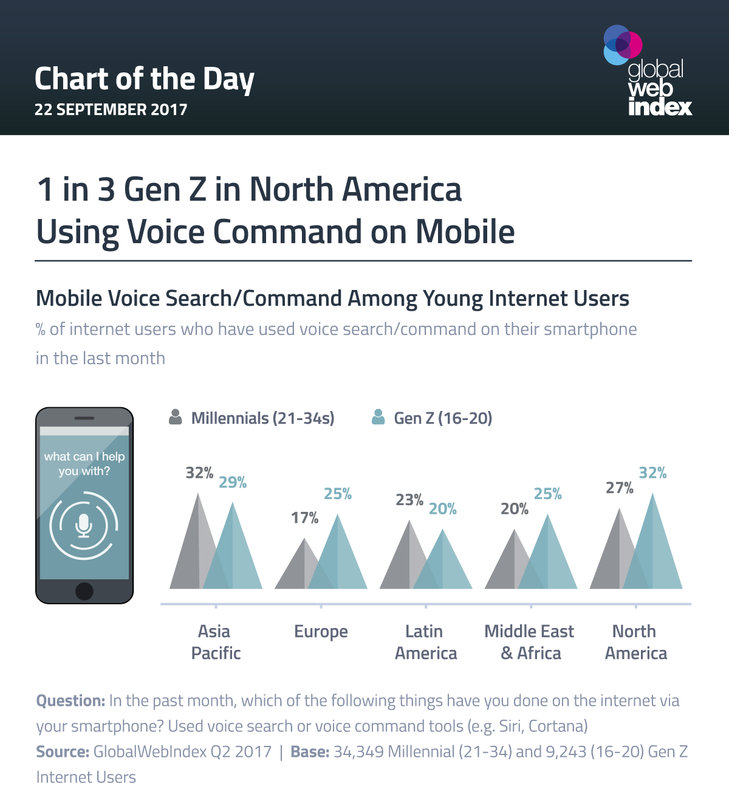 Is voice search a rising trend for Gen Z mobile users?